What was I thinking with last week’s menu? I exhausted myself by cooking dinner every night. I realized that I didn’t plan for a two-nighter meal, LAME! 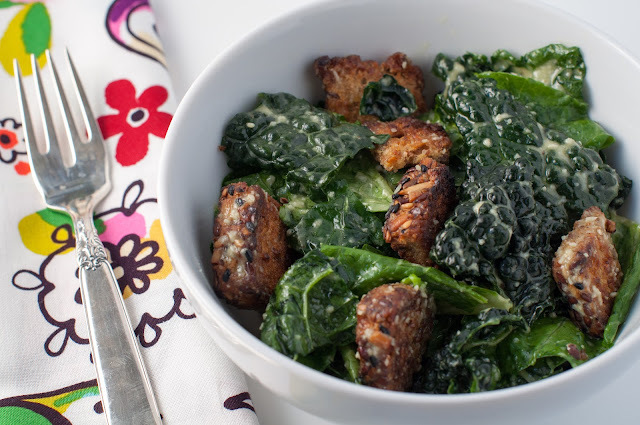 By the time Friday came around, I was done in the kitchen, so I had John pick up a pizza on his way home and I whipped up Eli’s favorite caesar salad. This week I’m back to reality and back to serving up leftovers, which is honestly more realistic for us! We’re having leftovers on Monday as well as Thursday. As I told you last week, my kids are not big candy fans, so they were over candy a few days after Halloween. I figured it was time for something homemade, so I treated to us to a batch of our favorite brownies, Roberts absolute best brownies. We were all happy campers that is, until they were all gone. You have to make these brownies. Seriously, every time I make them, we all say that they’re the best brownies ever. 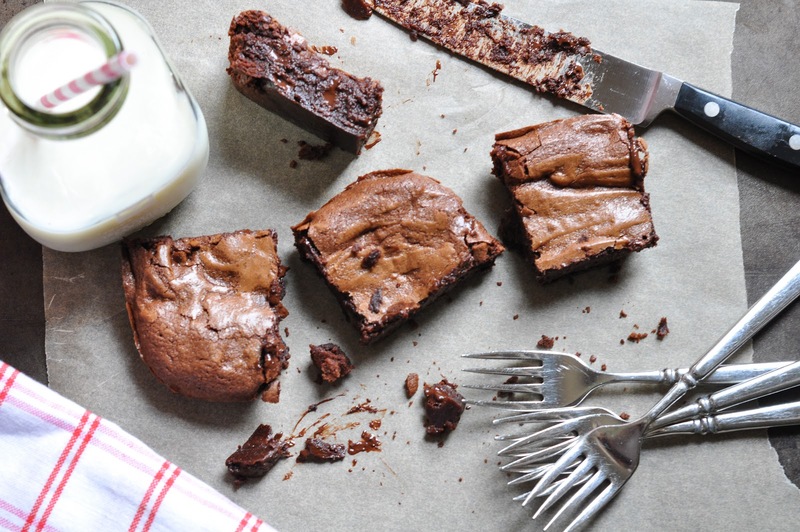 They are not cakey brownies, they are fudgey, gooey and finger lickin good! Is anyone else having a hard time adjusting to this new time change? I’m absolutely loving the brighter and warmer mornings, but I’m not liking the darker and earlier evenings. My kids were totally off schedule last week. I had to pry them out of bed each morning and by 5:15 each night, they were lingering around the kitchen wondering when dinner was going to be ready, because they were starving. It’s funny what a little darkness can do to you. The week prior we were patting ourselves on the back because we were eating dinner at 6:30 or 7:00 some nights. John and I liked the fact that our kids could handle the later dinner hour, but that all changed when we turned our clocks back. I think this week I will have some sort of appetizer out at 5:00 for the kids to snack on before dinner. I’m typing this up and listening to Zoe’s and my new favorite song, “Try” by Pink. Yes, I admit I like some pop songs. When you’ve got kids in the car, you tend to listen to a lot of pop music while driving them around, and it sort of grows on you. I am also loving that song “Ho Hey” by the Lumineers and “I Will Wait” by Mumford and Sons. Music is so good for the soul and every time I hear a song I love, I just thank the universe for music. On Friday, we had a family music and dance night. We all played our favorite songs, sang and danced around the house. I love nights like that! 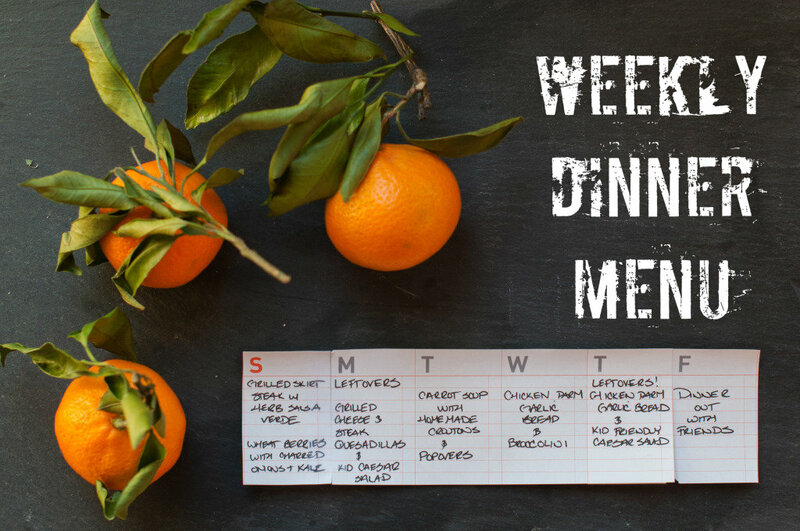 Ok, let’s move onto this week’s menu. 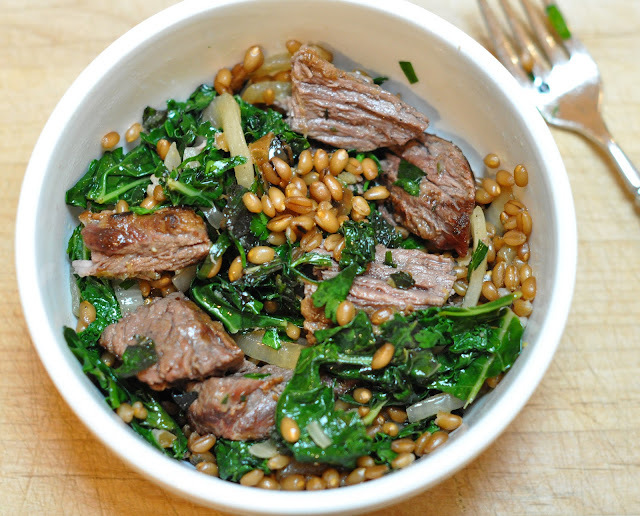 Sunday: Grilled skirt steak with herb salsa verde, wheat berries with charred onions and kale. 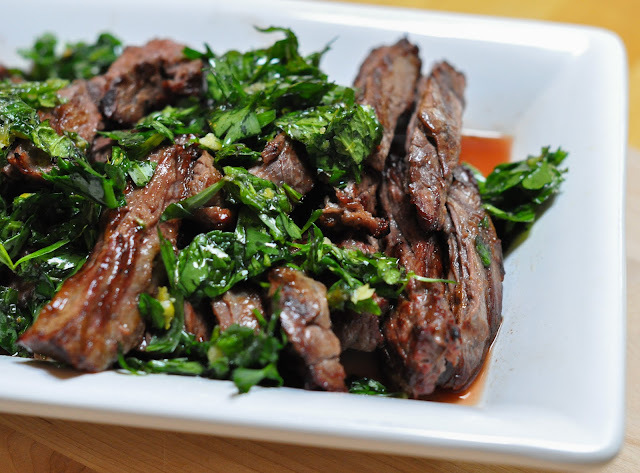 Monday: This week I’m moving meatless Monday to Tuesday, as we’re having leftovers of the steak. I will make up some grilled cheese and steak quesadillas for the kids and John and I will just top the steak over the leftover wheat berry salad. I have some leftover caesar salad dressing that I whipped up Friday night, so I will serve up some salad as well. Tuesday: Meatless Tuesday! Carrot ginger soup with homemade croutons and popovers. 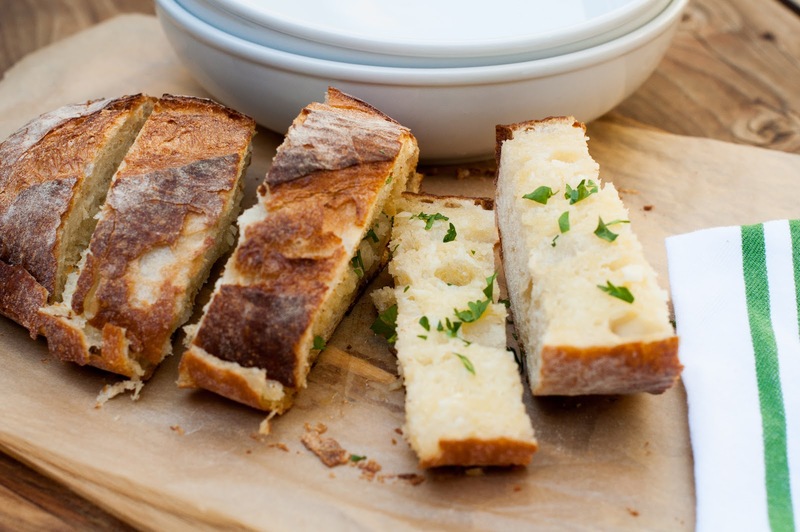 Wednesday: Chicken parmesan, garlic bread and broccolini. Thursday: Leftover night. It’s basically a repeat of Wednesday’s dinner. I’m serving up chicken parmesan, garlic bread and some kid friendly caesar salad. 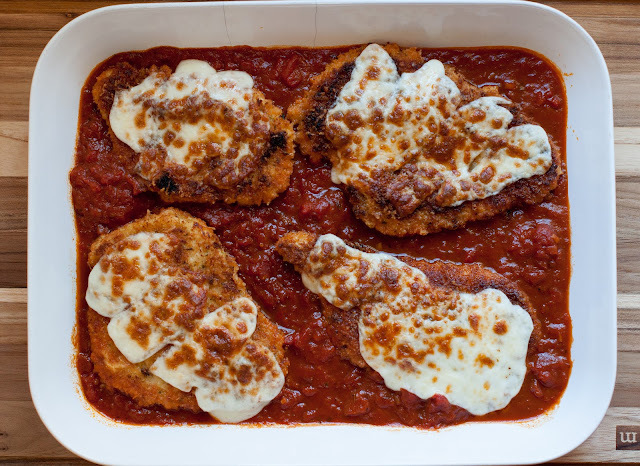 My family doesn’t mind the same dinner two nights in a row, as they love chicken parmesan. Friday: We have dinner plans with some friends, so Marin mama has the night off! Yippee! Before I go, I just wanted to show a few pictures from last week’s hike. 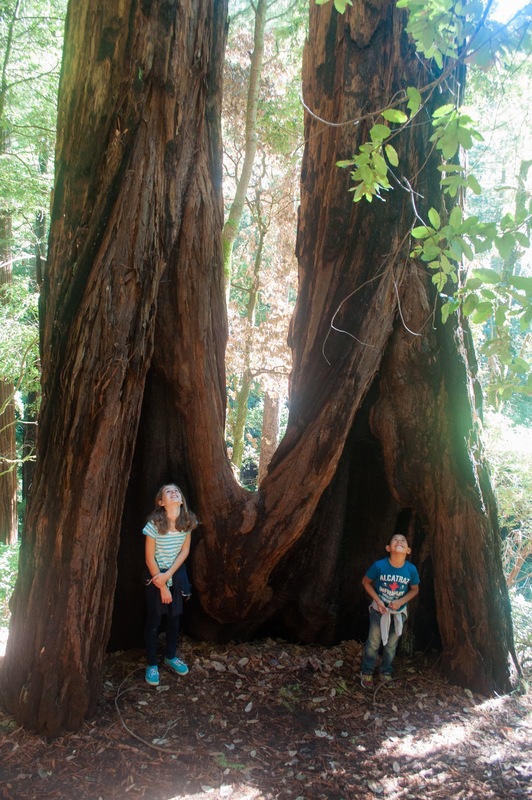 Here’s a photo of the kids in front of my favorite pair of Redwoods. The kids are dwarfed by the trees. See the number 4 in-between the two trees? You know what’s cool about that? Four is my lucky number. Pretty cool, don’t you think? Guess where Eli spent the night last night? 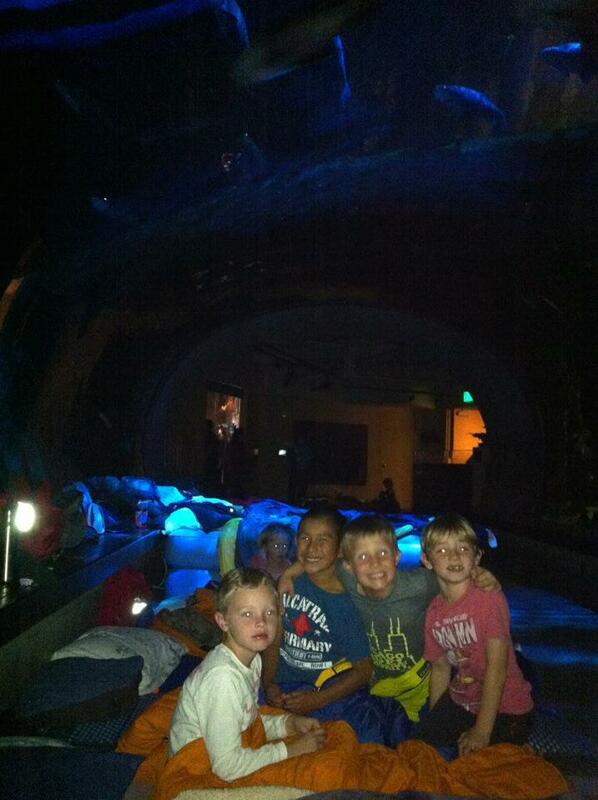 He went to a sleepover at the Academy of Science museum in San Francisco. The boys went there for a sleepover birthday party, and they set up their sleeping bags under the aquarium. I’m loving that blowup air mattress next to them, as that’s something I would bring. Talk about sleeping in comfort. I can’t wait to see how tired he is when he gets home this morning. 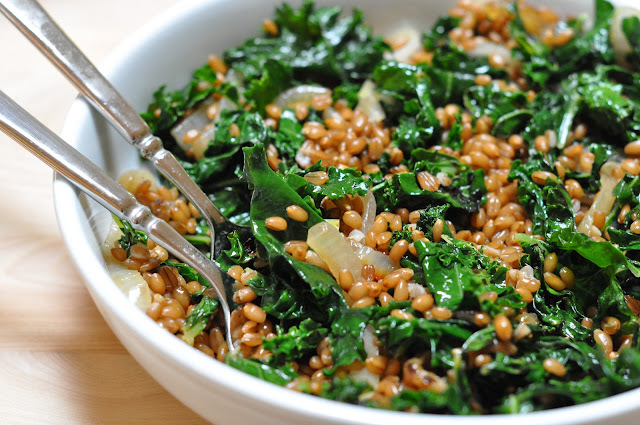 that skirt steak salad with kale and wheatberries looks so delicious….i wish I could make it right now!! Everything looks good and beautiful! 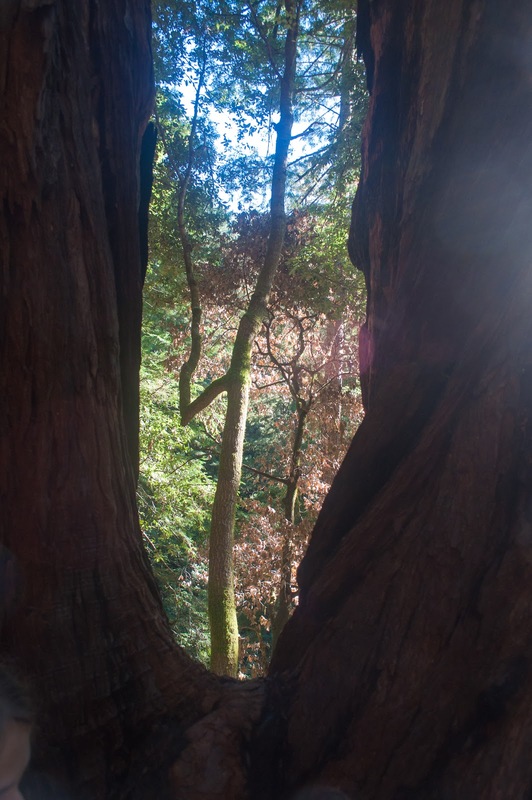 Funny…I don’t see the 4 in between the trees…but I see an M…for Marin Mama!! Thanks for your sweet compliments as always Annie. Yes, make the brownies, your kids will thank you. Funny, that you see an M for Marin mama! LOVE IT! Oh girl! I so had that day yesterday. I tried to do way to much and I was in bed by 8:30. These dark nights are taking me a while to get use to. Yes, 6 kids, sounds fun for about a day! I’m happy with my 2 and I’m loving their ages right now SO much! You’re a great friend to lend a hand! I swear if we lived closer we would be cooking for each other all the time. Cyber twins! Every time I read your mentions about the Roberts absolute best brownies, I want to make them! I have my own gold standard uber dense and fudgy and easy brownie recipe and it’s perfect and I don’t want to cheat on it, but I may just have to with yours 🙂 I think David L recipes are always destined for greatness! Can’t go wrong! Try them, just one! You will love them! SO, is that a good thing or a bad thing? He he! The caesar dressing was a HUGE hit, all 4 girls LOVED it!! 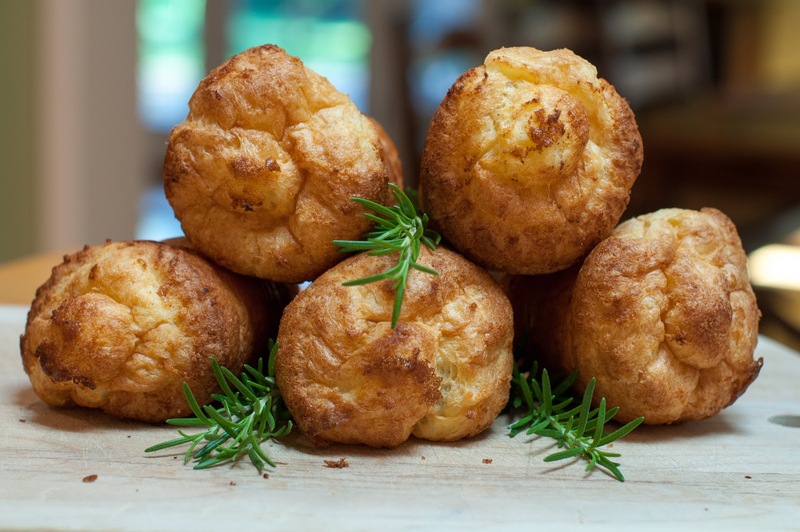 Chicken parm as well as popovers for dinner this week…yum!!!! Yaay! Glad it was a hit and love that your family is a popover and chicken parm loving house like mine.